It’s a tie between peanut butter cups and Twix bars when it comes to stealing my kid’s Halloween candy. (I know you do it!) I don’t particularly love chocolate by itself (weird, right? 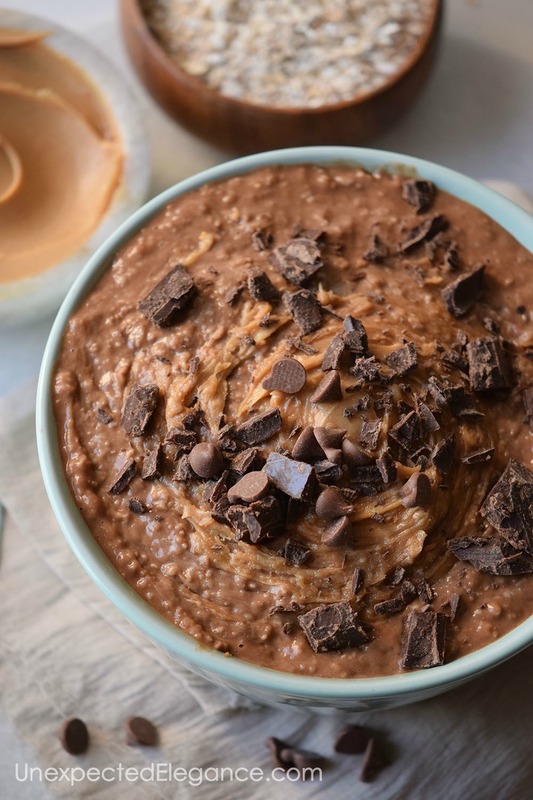 ), but add in peanut butter or caramel and I’m all over it. 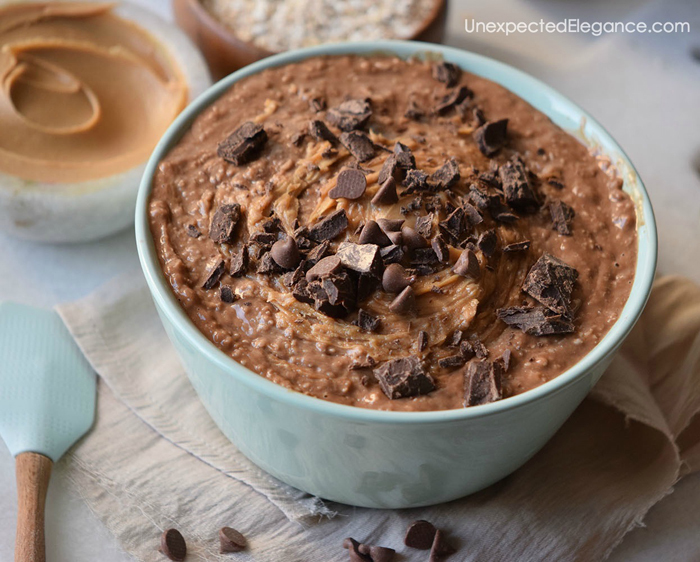 All that to say, I’m loving this peanut butter cup oatmeal recipe. It would be great for a special occasion…or dessert! In a pan over medium heat mix the milk, oats, cocoa powder, and sugar. Add the peanut butter, peanuts, salt, and vanilla extract. Blend it completely and simmer until the mix becomes thick. 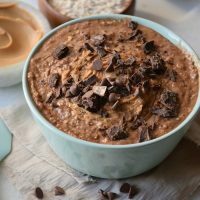 Serve with peanut butter, grated chocolate, and chocolate chips on top, and enjoy. 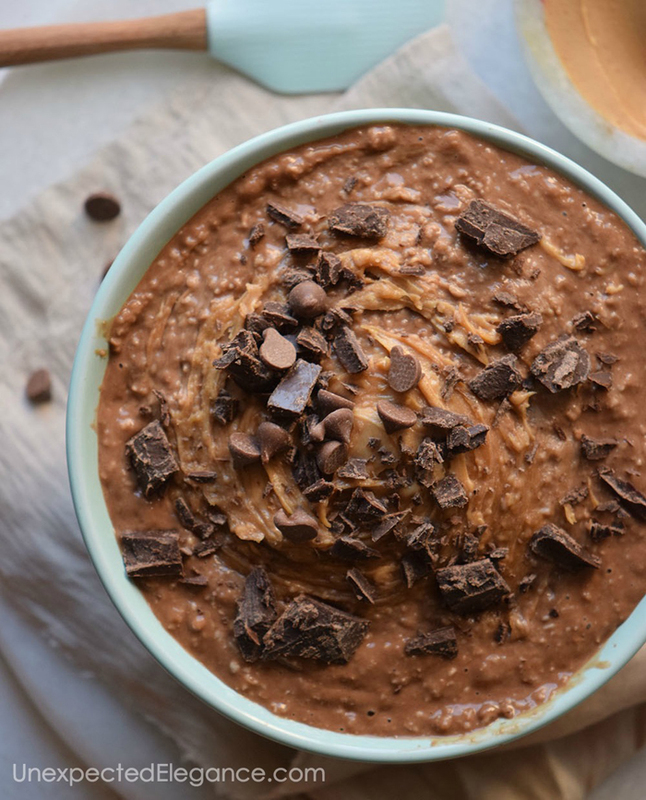 For a sweeter flavor, mix some mashed bananas with the peanut butter. 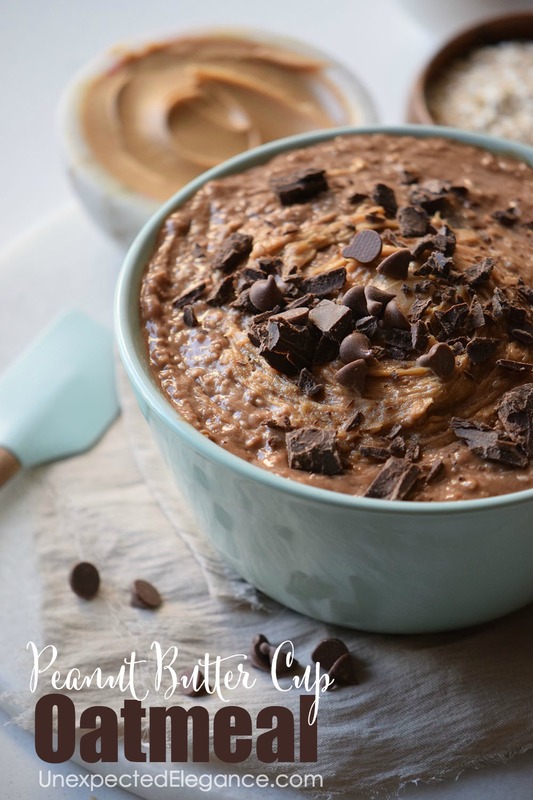 In a bowl over medium heat mix the milk, oats, cocoa powder, and sugar.